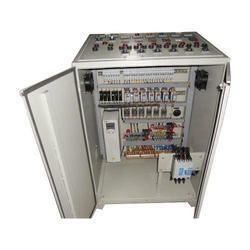 We are a leading Manufacturer of vfd control panel, plc and relay panels, plc control panel, relay logic panels, plc based automation projects and custom plc panel from Chennai, India. 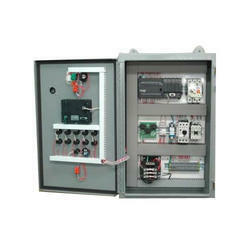 Backed with sound manufacturing set up, we are involved in offering VFD Control Panel. This panel is designed and manufactured using quality proven components with the help of modern technology by our deft team of professionals. 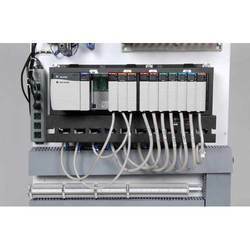 The offered control panel is well suited for controlling the working of machines. Also, we are offering this control panel in diverse technical specifications at pocket friendly rates. 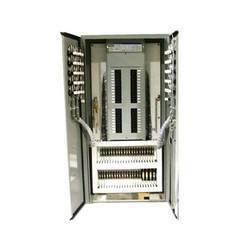 We have marked a remarkable position in the market by providing a wide spectrum of PLC Control Panel. 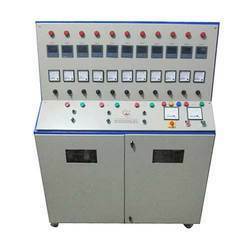 This panel is used to monitor and control the speed and working of various machines. With the help of cutting-edge techniques, the provided control panel is efficiently manufactured using utmost quality metal alloy under experts' supervision. In addition, the offered control panel is immensely applauded for its corrosion proof nature. 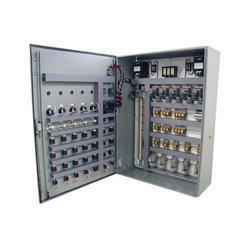 Leveraging on our vast industry experience, we are offering a broad gamut of Relay Logic Panels. The provided panels are connected with machines that help in monitoring and controlling their functions. Under experts’ direction, the panels are manufactured with optimum efficiency using quality tested metal alloy. Accessible in various specifications, these panels are provided to the customers at nominal prices. Looking for Customised Control Panels ?